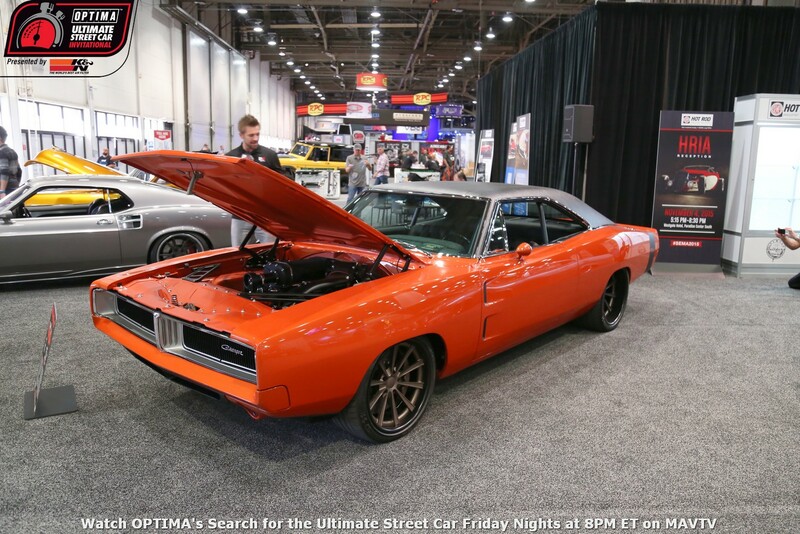 OPTIMA Batteries today announced 57 new invitees who will be competing at the seventh annual OPTIMA Ultimate Street Car Invitational. The largest-ever field of competitors, with more than 90 to date, will take to the track at the Las Vegas Motor Speedway (LVMS) on November 8-9 following the SEMA show. Spectator tickets are available for purchase online for $30 per person, which includes a free event t-shirt (to the first 1,500 fans). 2013 Champion Brian Hobaugh will be defending the title he won last year in his 1965 Chevrolet Corvette. All of these competing vehicles will be on display in either the OPTIMA booth in the Las Vegas Convention Center Central Hall ( booth #22755) or the all-new “OPTIMA Street Car Alley” located between the Westgate Hotel and Casino (formerly the Las Vegas Hotel) and the Las Vegas Convention Center North Hall. This is an area many SEMA Show attendees are familiar with crossing as they walk from the host hotel to the Convention Center. 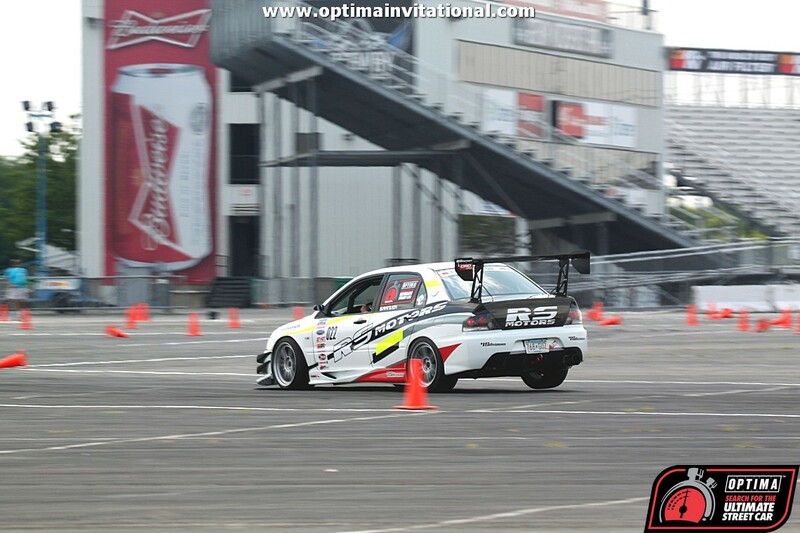 2014 marks several important firsts for the OPTIMA Ultimate Street Car Invitational. The event will be held at Las Vegas Motor Speedway (LVMS) for the first time, and will take place over two days (November 8-9) where it has previously been a single-day event. Also debuting this year is an exciting new format for the RideTech Autocross competition, where symmetrical side-by-side courses will be laid out to allow for vehicles to compete at the same time on identical mirrored courses. The quickest time posted by each vehicle will ultimately be counted toward their final score, whether it occurs on the right side or left side course. There are still more vehicles to be selected. A committee made up of OPTIMA Batteries and industry representatives will walk the SEMA Show floor in Las Vegas, and will identify and notify 20 “Golden Ticket” selectees prior to the OPTIMA Batteries press conference taking place on Thursday, November 6th at 1:30pm PST. The final group of ten participants selected from these 20 nominees will be announced at that time. The OPTIMA Invitational activities at Las Vegas Motor Speedway will offer something for every fan, with the BFGoodrich Hot Lap Challenge, RideTech Street Challenge Autocross, Wilwood Disc Brakes Speed Stop Challenge, Lingenfelter Performance Design Engineering Challenge and the Detroit Speed and Engineering Road Rally all bringing different aspects to each participant’s overall score. All participating vehicles will have to pass the scrutiny of the Tech Inspection prior to competing to ensure safety. The Pace/Chase vehicle for this year’s event is a 2007 Porsche GT3-RS, which has been outfitted with several performance upgrades. It is provided by Red Line Synthetic Oil and will be piloted by Grand Am Sports Car Challenge Series driver James Clay. The 2014 OPTIMA Ultimate Street Car Invitational is presented by KN Filters. This year’s event sponsors are BFGoodrich Tires, Detroit Speed, Lingenfelter Performance Engineering, Ridetech and Wilwood Disc Brakes. And finally, associate sponsors include Jet-Hot Coatings, Red Line Synthetic Oil, and Snap-On. For a taste of the excitement, check out video clips from past events on the OPTIMA Batteries’ YouTube channel, visit the OPTIMA® Invitational website to see driver profiles and news, or visit the OPTIMA Batteries Facebook page to join the conversation. Explore the #OUSCI hashtag to track social media discussion relevant to the 2014 OPTIMA Ultimate Street Car Invitational, and feel free to tag your own posts and photos with it too! We will attempt to preview as many of these new competitors as possible, but we'll give you a brief look at a few of the competitors and the vehicles on this latest list of entrants, starting with two-time OUSCI Champion, Mark Stielow, who is bringing an all-new "Hellfire" 1969 Camaro to the competition. Rumor has it Stielow's latest F-body creation weighs more than 100 pounds less than his previous 1969 build, Red Devil and will produce more than 900 horsepower. OUSCI veteran Dr. Mark Capener will also be returning with another supercar from his stables- a twin-turbo, all-wheel drive 2011 Lambroghini Gallardo. We're told this car, like the previous Lamborghini Capener ran, has been tuned by Underground Racing and produces more than 1,500 horsepower. The top-20 non-qualifiers in the USCA point standings are also on this list, capped off by Justin Stone's AWD class-winning 2015 Subaru WRX and Joe Escobar's GT2K (under 3000 pounds) class-winning 1974 Ford Pinto (GT3K class winner, Ken Thwaits previously qualified by winning that class at the Road America USCA event). Other notable entries include Alan Palmer's 700-horsepower 1959 Corvette, which won the 2011 GM Design Award at SEMA, JF Launier's 2014 Riddler Award-winning 1964 Buick Riviera and Dave Tucci's 1970 Ford Mustang, which is a giveaway car for the 2014 Syracuse PPG Nationals. While the field has dozens of newcomers, this latest list of announced invitees includes more than 20 OUSCI veterans, which should make for a very exciting competition. 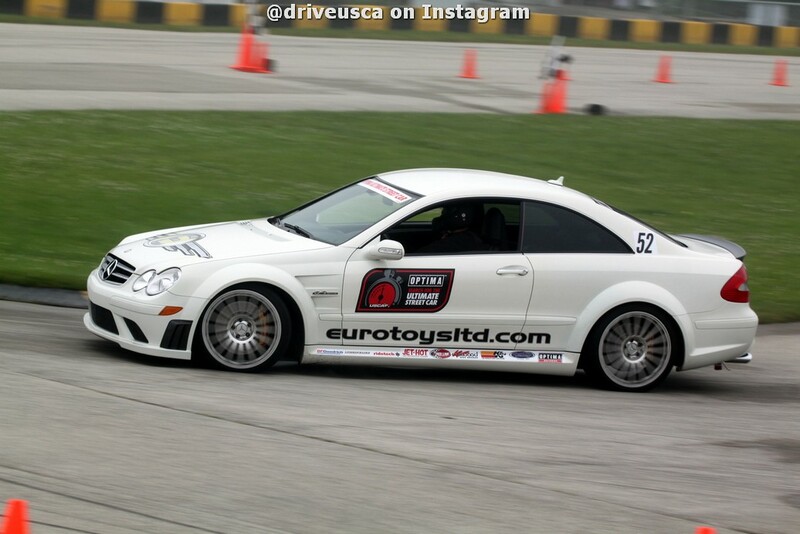 Be sure to check back here often in the weeks leading up to SEMA and the OUSCI for updates and previews on the 2014 field.